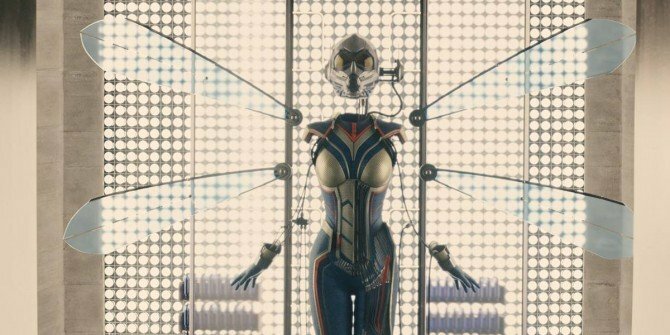 Although everyone is buzzing about Black Panther and Avengers: Infinity War – and understandably so – it’s important that we not forget about Marvel Studios’ third cinematic offering in 2018, Ant-Man and the Wasp. And now that filming is reportedly underway, we can expect more goodies regarding Scott Lang’s next adventure to surface on a regular basis. Truth be told, as much as casual moviegoers are probably anticipating seeing Paul Rudd return as Lang, it could be argued that diehard comic book geeks are looking forward to seeing the co-headliner in this sequel don her full regalia just as much. After all, we were granted merely a hint of what was in Hope Van Dyne’s future in the first flick, so it should be exciting to see her take flight this time around. And while a costume was teased in 2015’s Ant-Man, it looks like we can expect some even more stylish threads when we venture out to multiplexes next summer. 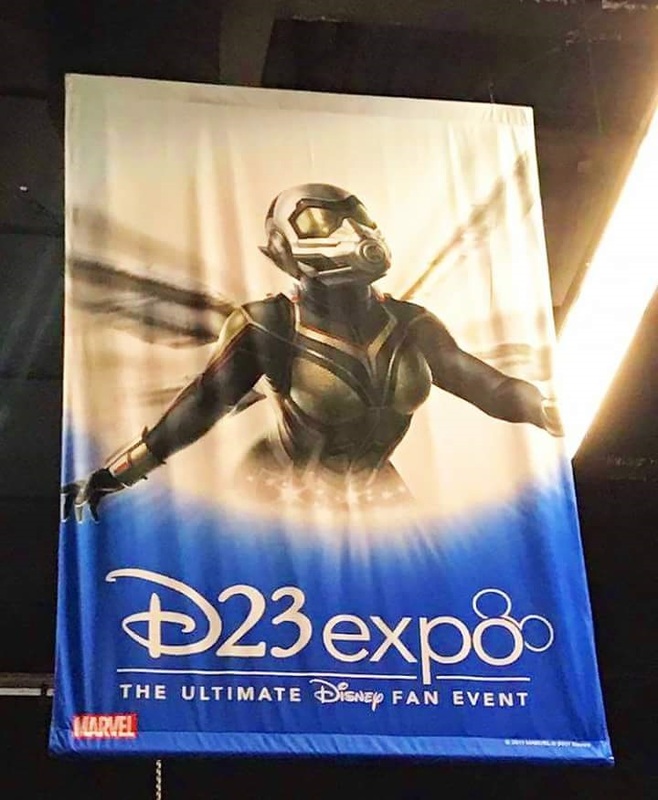 As it so happens, someone snapped a shot of a banner hanging at the D23 Expo (seen below) displaying the Wasp in all her glory. While it’s been noted that it does resemble concept art from the previous movie, it stands to reason that this is indeed the suit that Evangeline Lilly will wear because not only is Disney willing to flaunt it publicly, but it’s about that time when toy companies are about to get going on molds for action figures set to be released in conjunction with the major motion picture. Either way, all will be revealed when Ant-Man and the Wasp arrives in theaters on July 6, 2018.